GENEROSITY goes a long way. When communities rally together for one man, it leaves an indelible mark. People from Dalby, Maidenwell, Nanago, Kingaroy and Brisbane came together last Sunday, to help one man complete a bucket-list goal. Dalby man Peter Bowkett was diagnosed several years ago with cancer. The former lollipop-man at Dalby South State School is in palliative care. 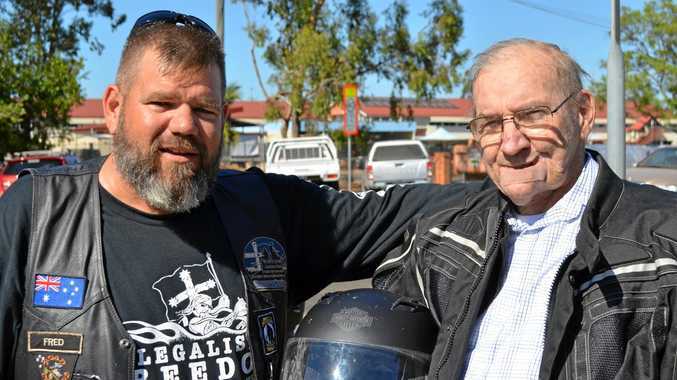 A lover of motorcycles and aviation, his son, Dean, made a few phone calls to organise a ride for his father. What followed was a series of generous offers from across the region to give Peter an unforgettable experience. Bike riders from Kingaroy and Brisbane came to take Peter on a long drive through the region, before putting him in a glider to soar over the South Burnett. The day was all a surprise for the Dalby man, who said he could hardly sleep once he came home due to his excitement. "You see all the time on the news people raising money or doing things for people who are having a rough time," Peter said. "But this time it was for my bucket-list." Taken in a three-wheel vehicle, Peter had the pleasure of riding with his sister, son and granddaughter. The keen aviation man said the flight over Kingaroy, which was donated by the Kingaroy Soaring Club, was amazing. 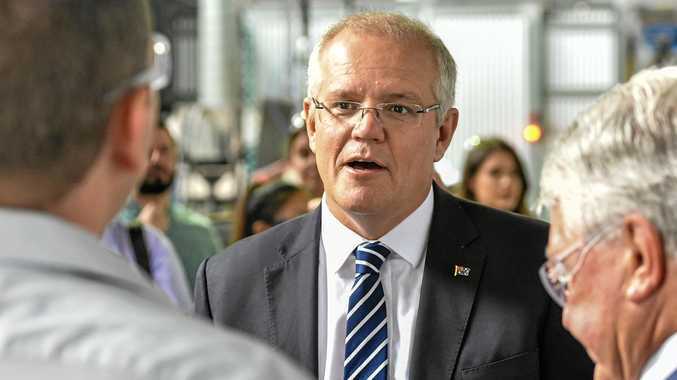 "I never found out about the glider until we got to (Kingaroy) airport," Peter said..
"I was told we were having a barbecue and I looked around and could not see a barbecue anywhere. "It was number one. When you are up there you get to see how big Kingaroy really is and I would recommend it to anyone." Retelling the story with a smile across his face, Peter said the generosity of those who made the day possible made him feel "over the moon with joy". "Until my last day, I will be thinking of how great that day was," he said. His son, Dean, said the owners of the Maidenwell Hotel and the Fitzroy Hotel in Nanango, were exceptional in making his father's day even more special. He said his father could not speak more highly of those who had helped create a special day for him. "When we were at the airport I asked dad if he wanted to say a few words and when he did I do not think there was a dry eye in the group," Dean said. "He loved (the day) that much he fell asleep talking about it."